Amazon today entered the burgeoning tablet market, with its own 7" Android-powered tablet set to offer some much needed competition for, well, we don’t really know. See, this new offering from Amazon is a bit of an anomaly. Yes, it’s a 7" tablet, and granted it’s running some form of Google’s Android operating system under the hood, but chances are users will never really know. Amazon hasn’t just skinned Android, just like HTC, Samsung and all the other 3rd part OEMs are so keen to do, but rather, they’ve taken things a step farther. The Amazon Fire – ushers in a new type of tablet, and at the groundbreaking price of just $199, there’s a very real chance Amazon just changed the tablet market forever. Let’s take a look at the specs. Hardware-wise, we’re told the Fire will sport a 7-inch, multi-touch LCD panel, just like the much maligned Blackberry Playbook. Gorilla Glass is used for the screen, too, meaning it should cope with all the usual bumps and scrapes these kinds of things always seem to suffer. The power will come courtesy of a dual-core TI OMAP4 CPU, though at the moment not a great deal is known about it. Don’t expect top-of-the-line processing power here, but with dual-core chips becoming the norm, we’re fairly confident the Fire will blaze along (yes, I did it again) without too many problems. Software is where the Fire starts to take shape. See, the Fire is much, much more than Amazon’s usual kindle readers. Think of it more as a web portal into the entire world of Amazon’s online services. Amazon’s Android App Store, Kindle, Amazon MP3, Prime Instant video, they’re all there. And if the photos coming out of the various live blogs are anything to go by, they’re going to look gorgeous too. And look gorgeous they will, thanks to Amazon’s complete overhaul of Android. The experience – as far as we can tell from screenshots at least – certainly appears to have much more spit and polish than your usual Android tablet. Amazon clearly know that user interface and experience isn’t Google’s strongpoint, and they’ve really gone to town on it. So what will this little bundle of joy cost, you ask? That’s where the tablet market sits up and takes notice, because all of this comes in at a wallet-friendly $199. That gets you 30-days of Amazon Prime thrown in for good measure, too. But that’s not all. Amazon’s replaced its low-end Kindle, too. 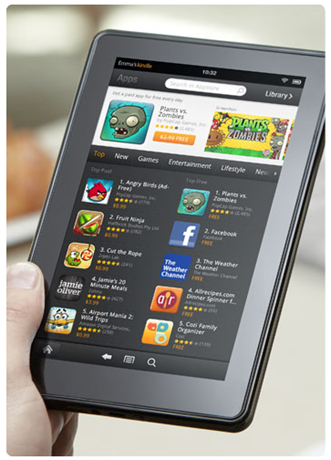 For those not wanting all the bells and whistles of a tablet, Amazon hasn’t forgotten its standard Kindle. The lowest end of the Kindle range now comes in at just $79, and at that price, why wouldn’t you buy one. Or two. The new Kindle is 30% lighter than its predecessor, and comes with WiFi built right in. There’s no keyboard for text entry either, and 3G isn’t available as an option anymore. The new Kindle really is a budget model, and if you’re wanting something a little more fancy, the Kindle Touch might tickle your fancy. 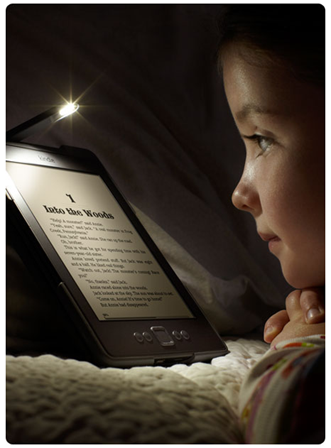 The Kindle Touch, you say? Sitting squarely between the Fire and the Kindle, Amazon has also launched the Kindle Touch, a $99 (with ads, it’ll cost an extra $40 to remove them) e-ink reader that supports touch. There’s no hardware keyboard, and a 3G model will also be available with, interestingly, free 3G worldwide. The 3G model will set you back $149 and, as is the case with all today’s new hardware, there has been no word on an international launch just yet. It’s been a big day for Amazon today, and that goes for the rest of the tablet industry, too. If you were going to buy an iPad before today’s announcements, then you probably still will, but if a Playbook, or low-end Android device was in your shopping cart, well, we suggest you check out Amazon’s offerings before you checkout.